The third #ResNetSLT Tweetchat of 2018 took place on Wednesday 28th March. The chat was based around the paper: 'Using Twitter to access the human right to communication for people who use Alternative and Augmentative Communication (AAC)'. It was hosted by Katherine Broomfield (@kathbroomfield) and Elicia Jones (@EllieJSLT). The pre-chat overview and questions can be viewed here. It was great to see so many people engaged in the conversation, with over 30 actively tweeting and using our hashtag #ReSNetSLT from various places around the world! Our Twitter 'impressions' went up by almost 100,000 which was amazing too, as this indicates the potential reach of our online conversations and exchange of ideas. There is still some evident uncertainty over whether we should be using social media which was interesting, but probably unsurprising as this is still such new territory. Thanks to everyone who shared their own experiences of using Twitter including with people who stammer, young people with SLCN, and consideration of using it to support people to increase their social networks following a life changing event. There was some discussion around the challenges of setting goals and measuring outcomes for SoMe in treatment/clinical intervention. At the end of the night our Twitter poll showed a positive result, although we did have an audience of voters who are clearly positive about using social media, so maybe we should be cautious about this being indicative of a definite trend within the profession for using social media. There was some interest in the analysis used within the paper. We possibly could have focused on this more. Some people are starting to explore using social media with patients/clients but this doesn't seem to be led by the evidence base (such as the paper discussed). One person reported a 'trial and error' approach. Maybe some of you will be interested to follow up the references below and write us a short synopsis or viewpoint piece that we can post soon on our blogsite – that would be great! There was also a nice example of accessing a Twitter hashtag #actuallyautistic to access perspectives of people with autism. Caron, J., & Light, J. (2015). My world has expanded even though I'm stuck at home: Experiences of individuals with amyotrophic lateral sclerosis who use augmentative and alternative communication and social media. American Journal of Speech-Language Pathology, 24(4), 680-695. DOI: 10.1044/2015_AJSLP-15-0010. Helen L. Paterson (2017) The use of social media by adults with acquired conditions who use AAC: current gaps and considerations in research, Augmentative and Alternative Communication, 33:1, 23-31, DOI: 10.1080/07434618.2016.1275789. 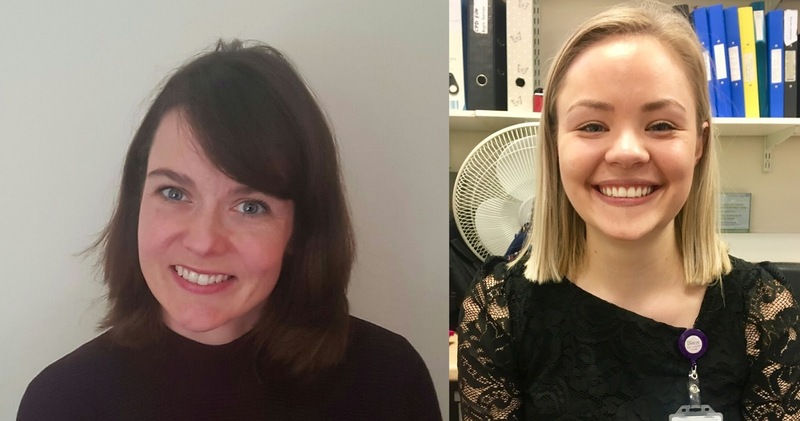 Helen Paterson & Christine Carpenter (2015) Using different methods to communicate: how adults with severe acquired communication difficulties make decisions about the communication methods they use and how they experience them, Disability and Rehabilitation, 37:17, 1522-1530, DOI: 10.3109/09638288.2015.1052575. Bronwyn Hemsley, Stephen Dann, Stuart Palmer, Meredith Allan & Susan Balandin (2015) “We definitely need an audience”: experiences of Twitter, Twitter networks and tweet content in adults with severe communication disabilities who use augmentative and alternative communication (AAC), Disability and Rehabilitation, 37:17, 1531-1542, DOI: 10.3109/09638288.2015.1045990. Please save the date in your diary now for our next chat on April 25th and join the discussion on our next paper selection about implementing research into clinical practice.